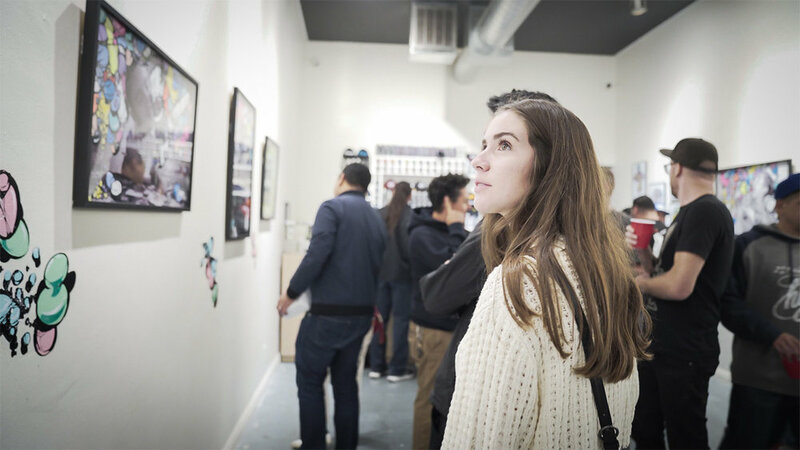 Pill POP'n CULTURE brings a new collection of artworks from 2SHAE, highlighting the hold addiction has over its victims. A visual representation of addiction, 2SHAE's faceless "Pillhead" character is often depicted lurking behind his prey wearing white cartoon gloves with a long black and wiry-haired tail wrapped in bandages. Pill POP’n CULTURE brings a new collection of artworks from 2SHAE, highlighting the hold addiction has over its victims. A visual representation of addiction, 2SHAE’s faceless “Pillhead” character is often depicted lurking behind his prey wearing white cartoon gloves with a long black and wiry-haired tail wrapped in bandages. Like a siren with his river of pills, Pillhead seduces his unsuspecting victims with an infinite sea of prescription bliss. The vivid artwork contrasted with the black and white photography perfectly captures the void left and filled by these pastel pills. 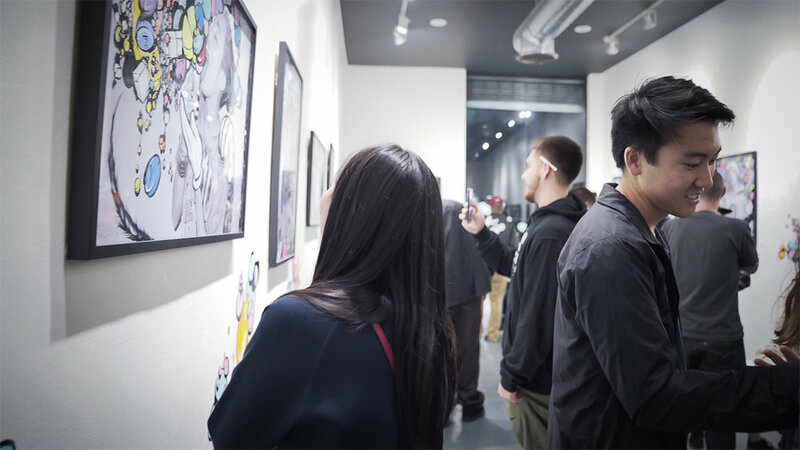 The bold pieces allow you to feel the weight of addiction pulling at the beloved icons of today’s popular culture. Born in West Los Angeles in 1977, 2SHAE was born to two drug addicts who were addicted to heroin and prescription pills. He bounced back-and-forth between his two grandmothers who raised him and prepared him for life. 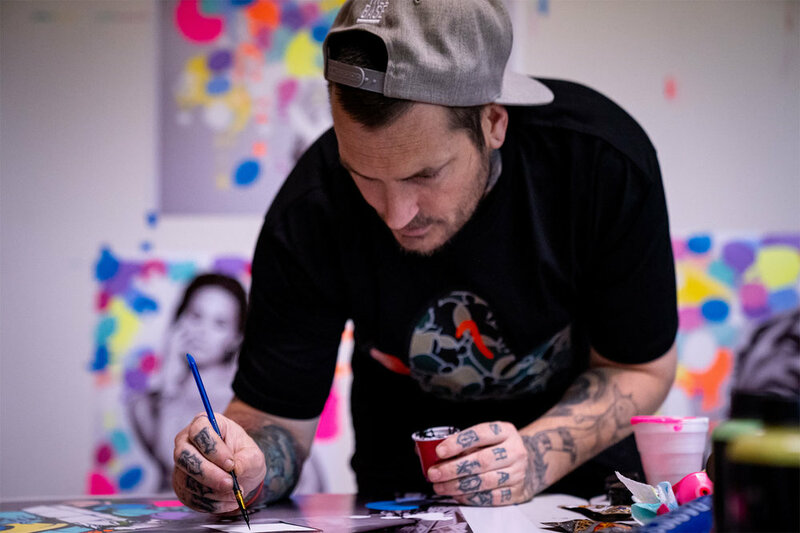 After attending Laguna College of Art and Design, 2SHAE worked as the Lead Art Director for West Coast Customs for over a decade. In 2012, he set out on his own to concentrate on his personal work. 2SHAE’s characteristic style of dynamic patterns and compositions along with bold gesture give the work an alluring energy. With focus, dedication, and talent, his career is rapidly thriving. 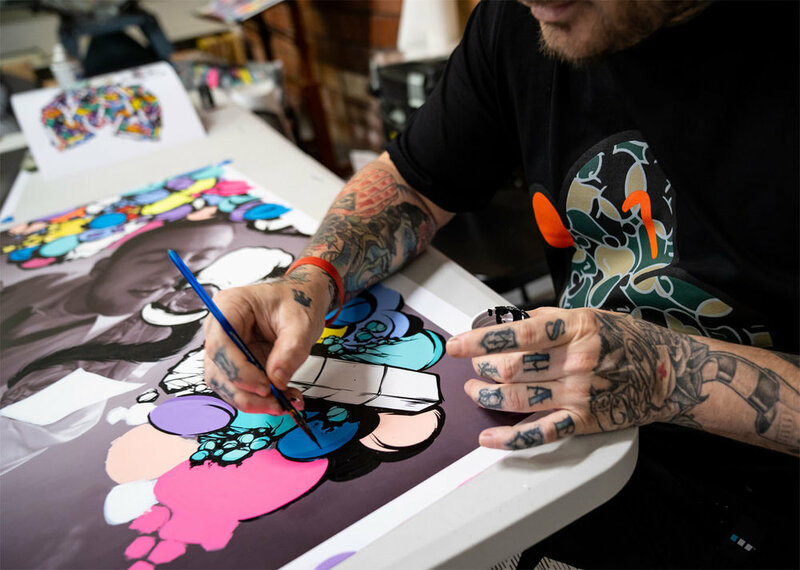 2SHAE now works full times in the studio on his personal artwork and commissions – as well as recently finalizing a residency at The Seventh Letter. 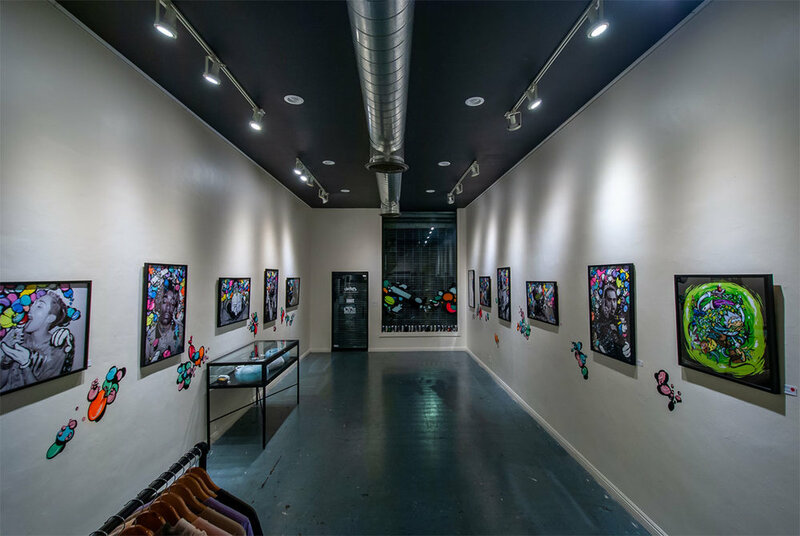 Pill POP’n CULTURE is available to view at Ewkuks Gallery on Fairfax Ave in Los Angeles.